Did you miss this one, too? I definitely missed this posting a few years ago during Obama’s first presidency. Our president, graffiti, and beer… hat trick! Thanks to Bonnie Alter, at Tree Hugger, for this article. What unique gift would YOU give our president? It’s a tradition: heads of state exchange gifts when visiting each other. So on his recent trip to the USA, Prime Minister Cameron has given President Obama a piece of graffiti art by British graffiti artist Ben Eine. 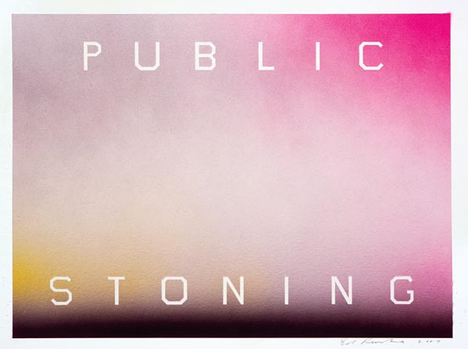 In fact it was a swap: in return, Mr. Cameron was given a litho by the American Ed Ruscha. What a rise in fame and status for graffiti. It used to be called defacing public property. Then the elusive Banksy began getting thousands for his pieces. And now the President of the USA has it hanging in the White House. 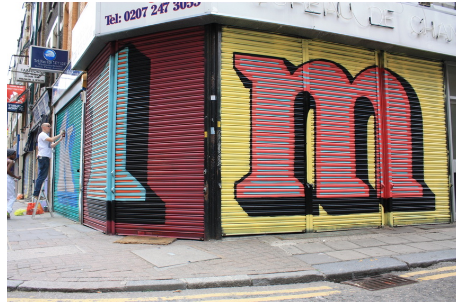 Ben Eine is a newer and quirkier gaffiti artist than Bansky, who has become almost old hat; making world tours and popping up in Canada and the USA. Eine has been in the graffiti business for almost twenty years, starting when he was 14 years old. 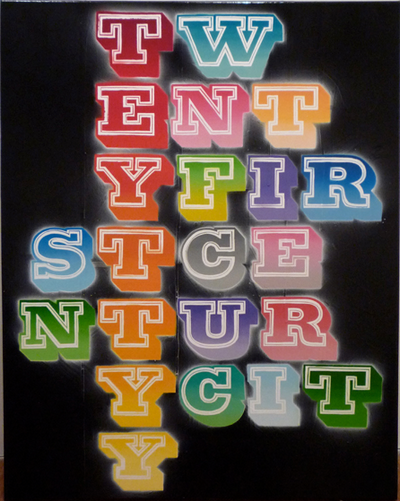 His pseudonym comes from the word one, which morphed into uno and then the german eine. Much is known about him; he has been photographed, he lives in the east end and he has three children, works as a full-time artist and shows his work in galleries. 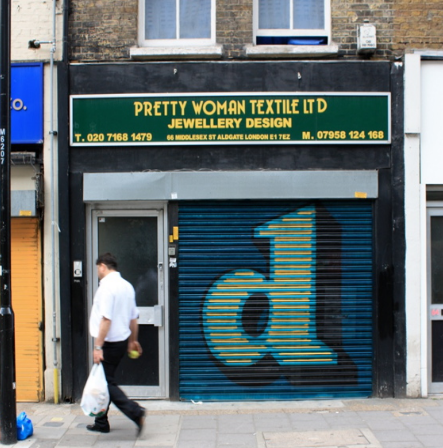 His latest project, which is hardly graffiti, and more art, is located on the shuttered doors of shops in the east end of London. Called “Alphabet Street“, he spray painted a letter on the door of a series of shops, all with the permission of the shop owners. They collaborated about the colour of the letter that they got. And some fit the shop, for example Flying Burrito got an F.
Cameron’s other present started the battle of the beers. It was a bottle of Hobgoblin organic beer. Served warm, it was made by a brewery in his constituency. 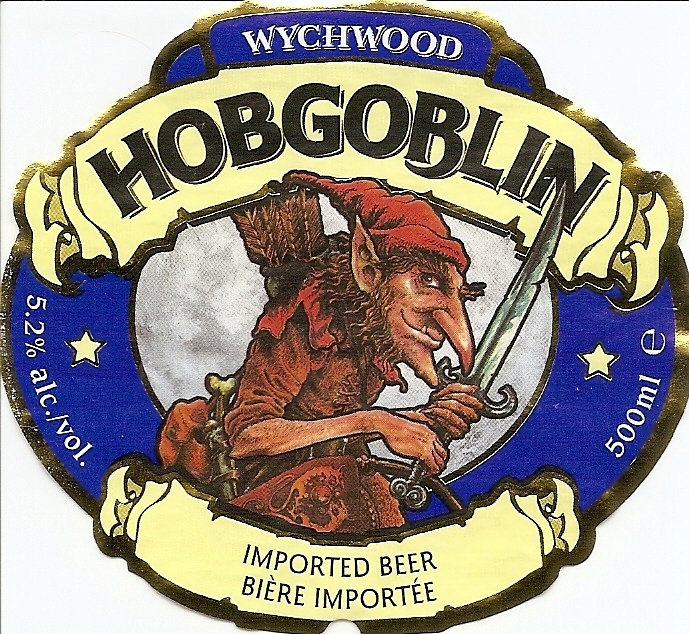 Wychwood Brewery has been making Hobgoblin since 1995 and now it is the fifth best selling bottled ale in the UK. 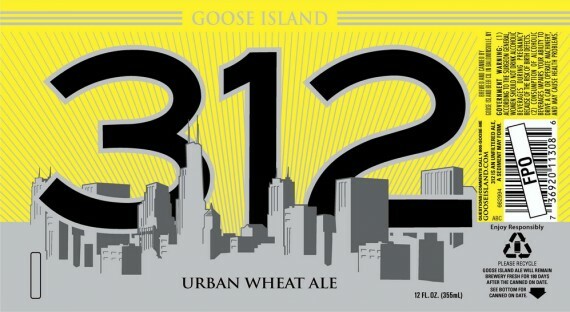 In exchange, President Obama gave him a bottle of Goose Island “312” from Chicago, to be served cold. Not to be outdone; it is also an artisanal beer.